Stolen out of my side yard in the middle of the night. Back tire, if not changed has a plug in it. 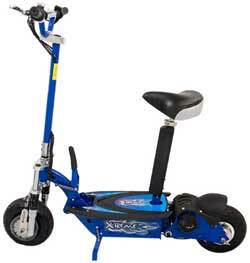 Blue bike with cracked yellow front fender, stolen by cutting cable lock and fence out in front of my work after 9pm near Mayport Navy base. Steering column was locked. Stolen out of my back yard between 10:30PM and 6:30AM. Stolen from Rockwood High School Fenton Mo. (Near St Louis) during my Grand son's second day at school. It had less than 350 miles on it. Steering was locked so it may be damaged now if the thieves tried to drive it. 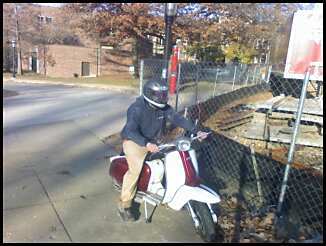 Stolen near the intersection of Pine and 9th streets downtown St. Louis between 2:00pm and 5:30pm CST. 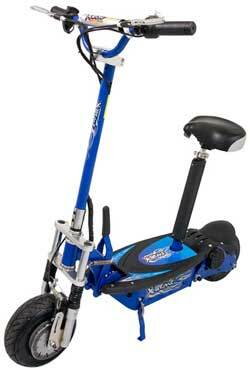 This is a foldable electric scooter (the kind you stand on to ride). It wieghs about 75 lbs. 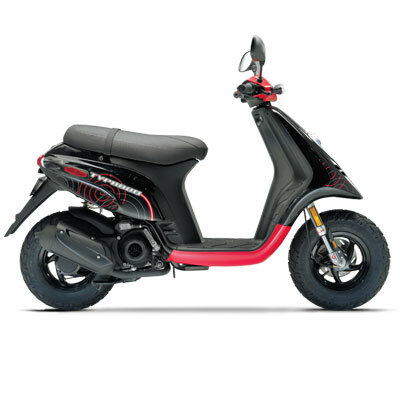 Scooter was stolen in front of Sam's Club in South Point, OH between 3:15am and 5am. $500.00 reward to any one with tip leading to arrest. 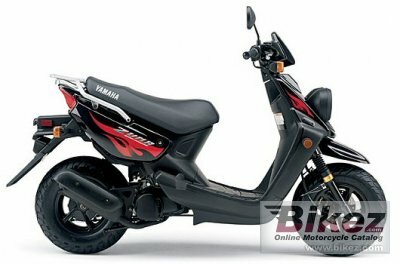 Keys lifted from owners pocket - 2 scooters were targeted - one damaged, one stolen. 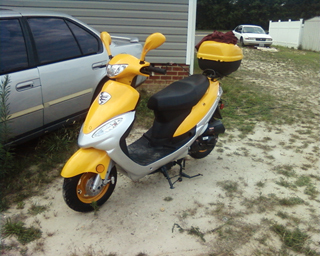 Stolen in the Montford area with another scooter that was recovered damaged and painted. Police followed up and told it was traded in Shilo area. 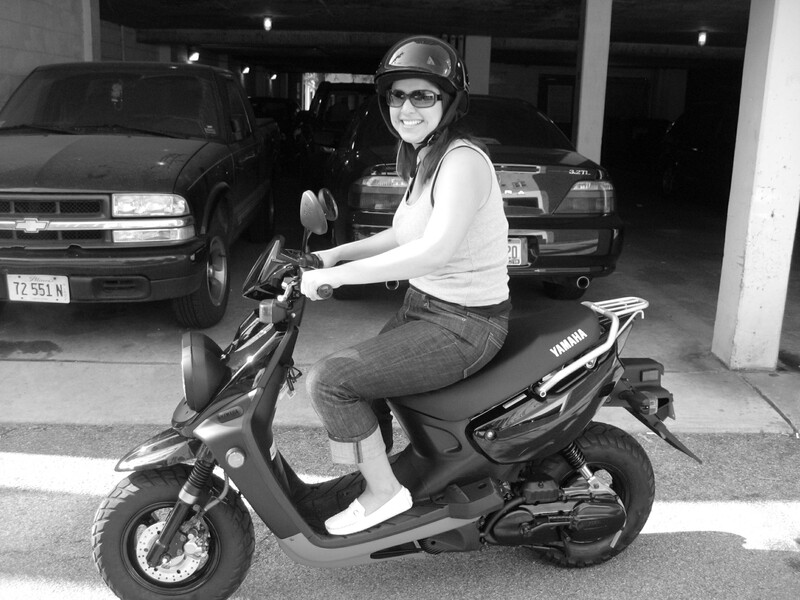 stolen in broad daylight from condo parking lot. 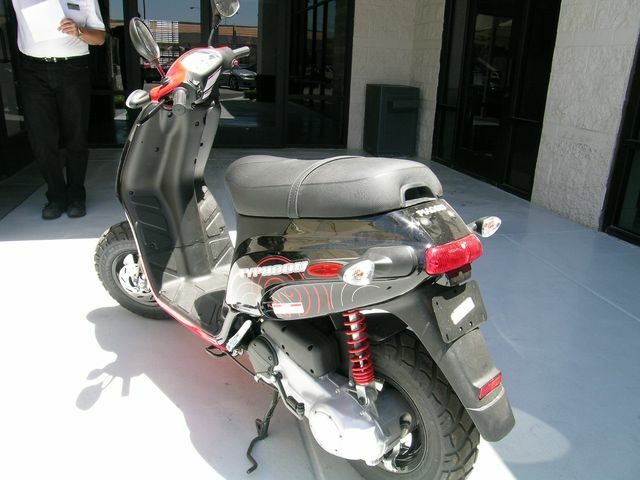 This scooter was last seen at FASTOP gas station in Symour, TN. which is in Sevier County, Tennessee. Cut through cable/lock, left cable in ParcBelmar apt. parking lot. Happened overnight on 08/07/08 before 10am on Friday 08/08/08. 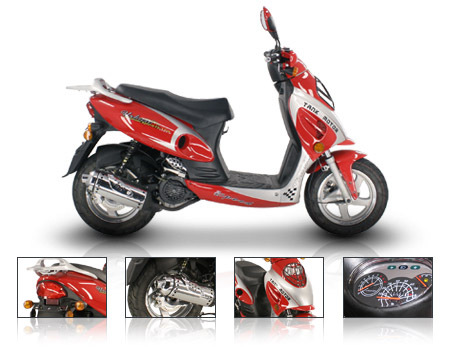 I JUST HAD WORK DONE TO MY SCOOTER,THE LEFT SIDE PANEL IS MISSING OFF OF THE SCOOTER,THER IS A SMALL CRACK IN THE FRONT WHEEL COVER.THE WHEEL WAS LOCKED WHEN IT WAS STOLEN. 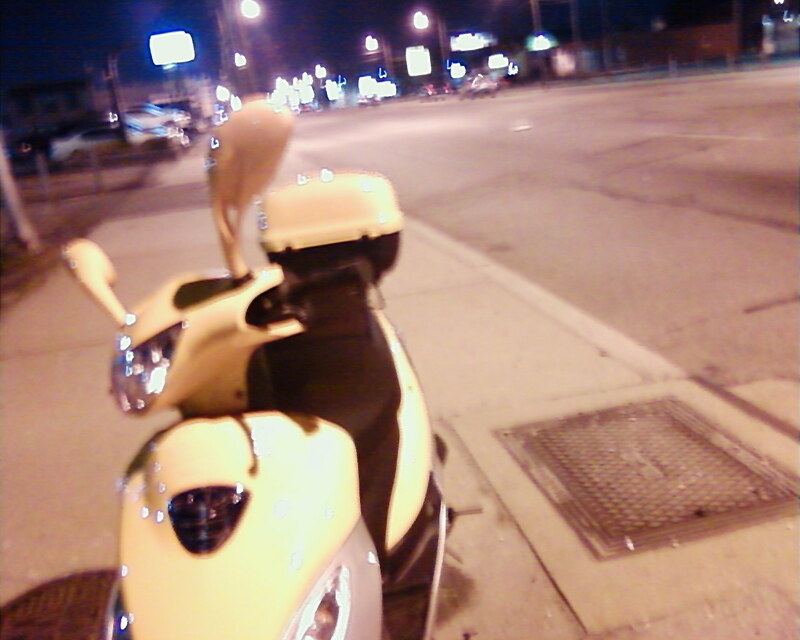 Moped was locked and covered. 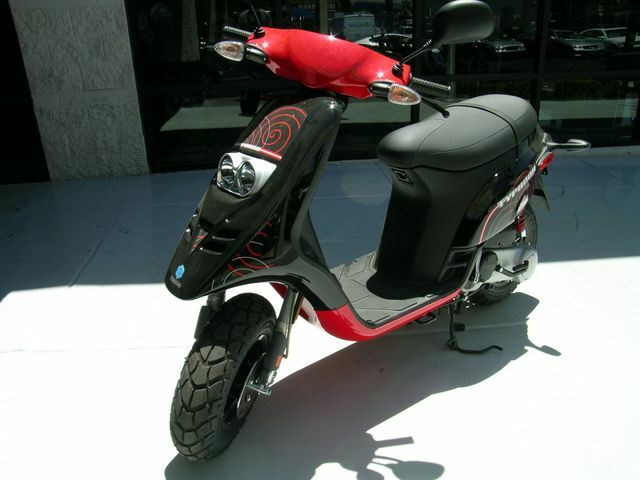 Stolen overnight. 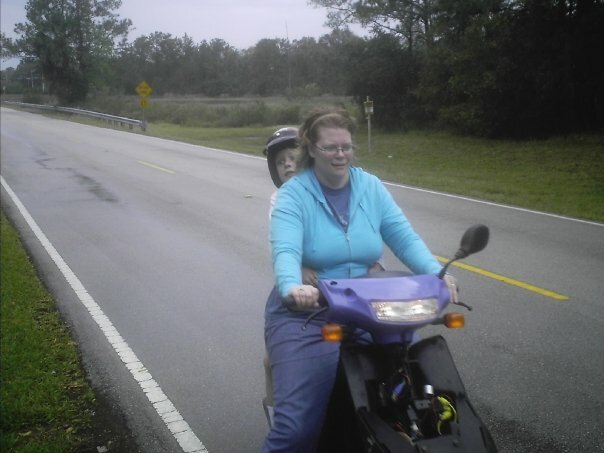 My bike was missing the left mirror, the muffler was very rusty and there was black electrical tape around both back turn signals and the front right one. There was a crack on the left side near where your left foot would rest, and a bunch of scratches to the body on the left side (accident). 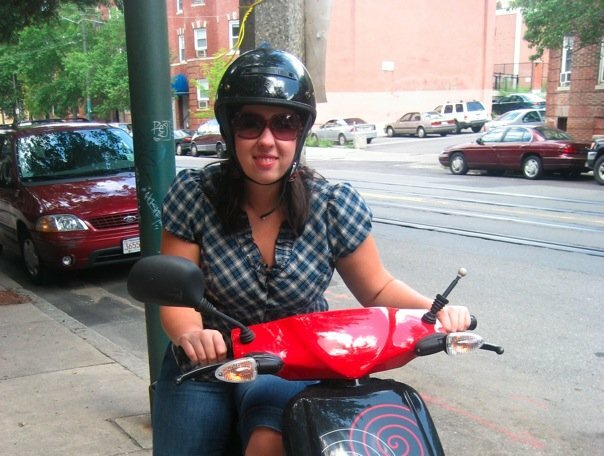 The bike was stolen in front of my apartment on South Huntington Ave. in the middle of the night in Jamaica Plain. It was chained up by an OnGuardLock which was around a stone pillar. 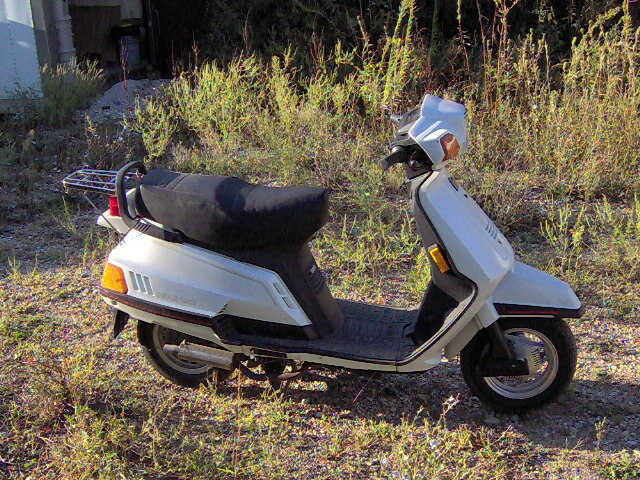 Stolen from my house, scooter was locked, so the thieves probably had to load it on to a truck. The theft occured between 4:00am and noon near Jeff Davis Hwy on Hopkins Rd. 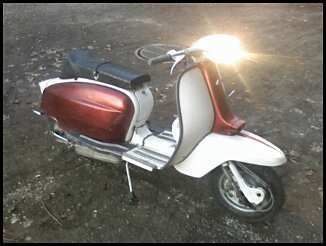 The scooter is in great condition, with about 2500 miles. It has no plate, as we were still waiting for the registration to go through (they stole it within a month of us having it). It was stolen from the Plaza in Kansas City, and I would love to have it back. 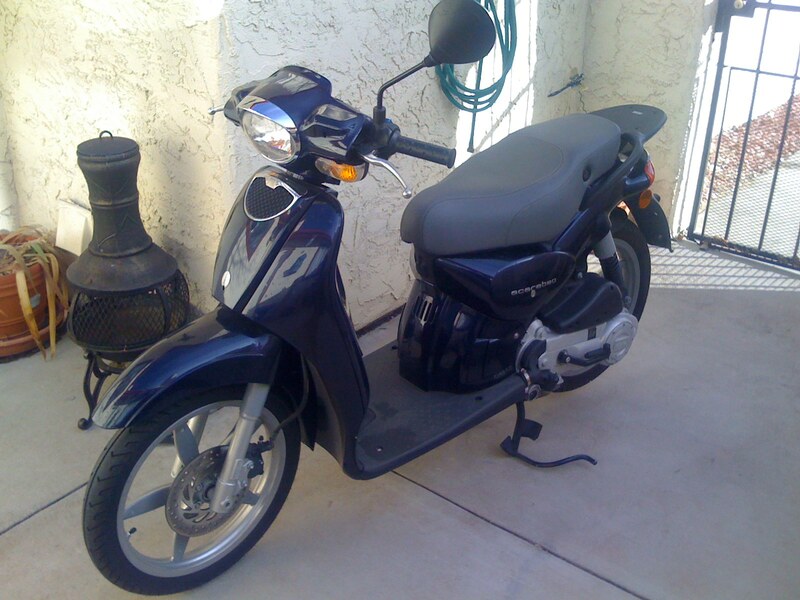 I really like this scooter and had just put $700 worth of repairs into it two weeks before it was stolen. Stollen from my house on Monticello Road. Column was locked. Parked on the street with a lock. Stolen from the garage of my apt building. Across the street from Canoga Park Highschool. expired plates registered as non-operational. Two guys, One tall one short, both skinny. Red Truck. Apparently going around stealing stuff. There are previous reports of them stealing Bicycles. etc. from garages. Stolen from the garage of my apt buildings. Accross the street from Canoga Park Highschool. expired plates registered as non-operational. Stolen from the back yard with a heavy 1/2 inch wire locked to deck and front wheeel locked, they dragged it and eventually must have put it in a truck. 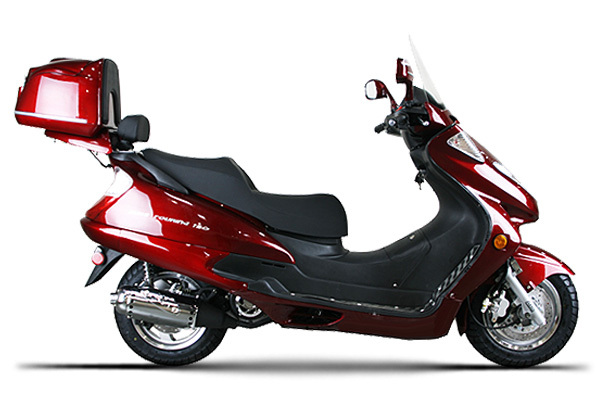 Had Windshield, a rack on the back and a sport muffler ZX. $250 reward for return, no questions asked. Stolen from driveway of home. The chrome heat sheild on the exhaust is scraped and rusted. 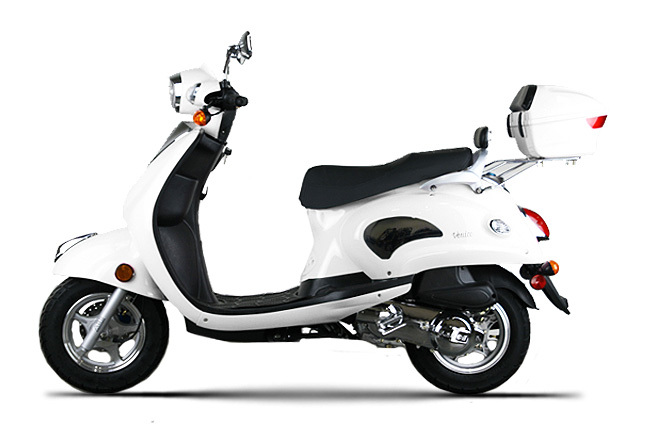 I'm guessing even if they paint the scoot, you'll be able to notice it by this. Also, the right brake caliper is ground flat. 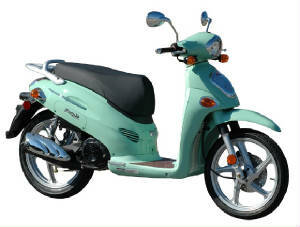 Stolen from W. 32nd street in Hampden, within hours of the teal colored bike listed below. 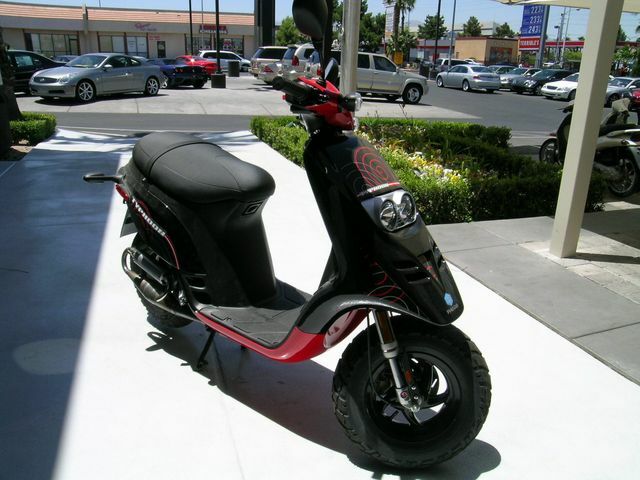 Stolen out of my backyard along with several other scooters in the area the same night. Front tire was white wall but is so dirty it's only noticeable up close. 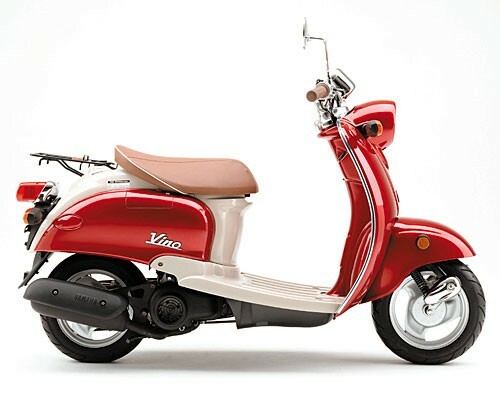 Back tire is non-whitewall. If the thieves haven't repainted this, the right cowl has a black brown tar stain. Odometer and speedometer do not work as well as the tail light. scooter has the number 33 on the front. 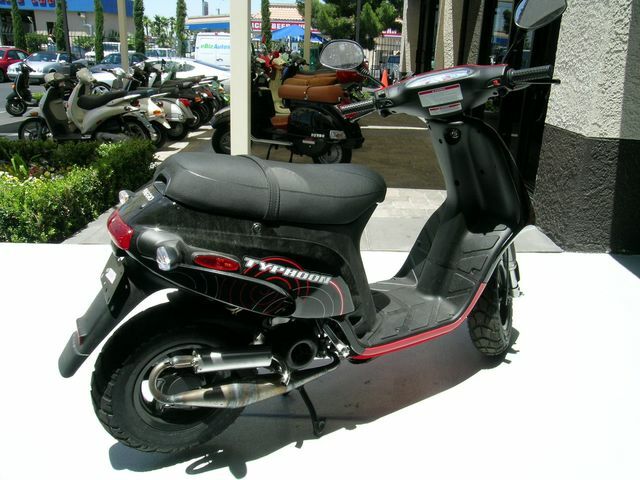 My 2005 Piaggio Typhoon was noted missing/stolen sometime between midnite June 26 and early next day (8AM), June 27, 2008. 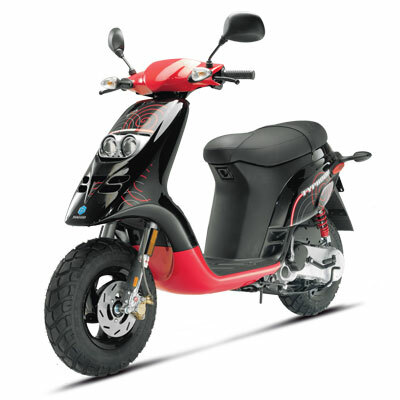 The sccoter is Black/Red in color, 50cc engine, with no upgrades, other than fire stripes on the sides and a Red Dragon on the face plate. The Henderson police were notified and a report was filed. If anyone sees it, please contact me. Thanks.